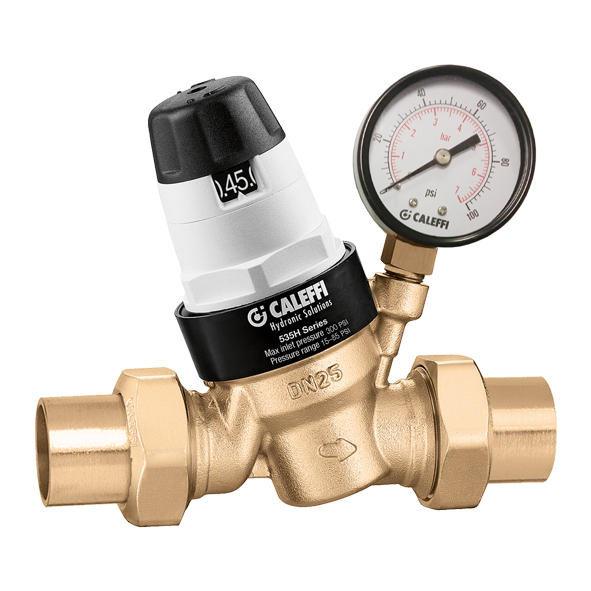 Pre-adjustable pressure reducing valve for residential and commercial plumbing applications. DZR low lead "Ecobrass" body. Unique noise reducing pressure balanced cartridge. Low friction, anti-scale moving parts. Dial indicator with direct readout.